Market activity and deal flow continued to trend up in the Tucson office market in Q4, despite slow growth in job creation. For the year, our firm completed the highest number of transactions and gross revenue since 2007. Lease transactions were dominated by smaller tenants and renewal activity, with medical and behavioral health uses figuring prominently throughout the year. The Tucson office market experienced positive overall absorption in 2014 of 187,368 sf, bolstered by Q4’s positive 121,856 sf, Accordingly, market-wide vacancy improved to 12.4% at year end. Looking specifically at the downtown area, overall CBD vacancy improved every quarter in 2014, ending the year at 8.6% vacant. Suburban asking lease rates experienced little movement throughout the year, though downtown Tucson asking lease rates were up 2.5% YOY to $18.62 psf. Musical chairs continued, as tenants sought higher quality space in an environment of attractive terms, while savvy landlords aggressively worked to retain tenants, limiting the pool of user sales. Tucson office sales volume increased YOY by 17.7% to $94.3 million, and the average sale price psf increased 6.5% to $112.92 psf. Our office co-represented the sale of 4400 E Broadway, Q4’s largest office investment transaction, with Tucson Realty & Trust. 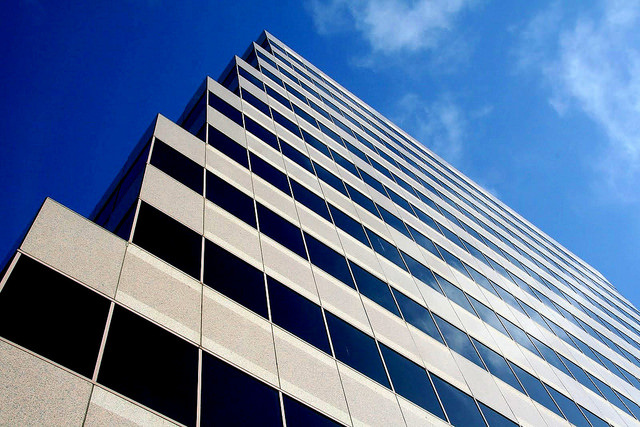 The midtown office mid-rise sold in December for over $8,1 million or $66.98 psf. The property last traded in 1998 for $11.75 million or $96.87 psf, illustrating the value-oriented investor market in which capable purchasers could acquire properties at significant discount. We expect continued market improvement in 2015 with higher velocity, business volume and consumer confidence. Tucson’s evolving healthcare landscape will be a significant change agent. With five of the community’s eight hospitals undergoing ownership transition, the magnitude of impact likely cannot be overstated. Tucson's full medical economy from construction, practice management, jobs and facilities will see movement once Banner, Tenet and Dignity complete their investments in the Tucson economy. In behavioral health, the new Cenpatico regional award will have a local impact. George Hammond, Director of the Eller College EBR expects Tucson’s job growth to gradually improve, reflecting modest improvements in net migration.